He wept. I listened as he told me of his friend, and then I told him fix the bread and fish from Granny's kitchen and prepare it for the long journey. 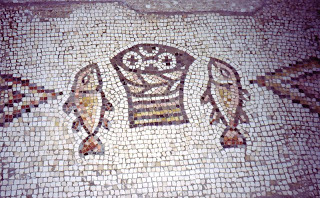 Mosaic in the Church of the Multiplication of the Loaves und the Fishes at Tabgha near the Sea of Galilee (Yam Kinneret), Israel. 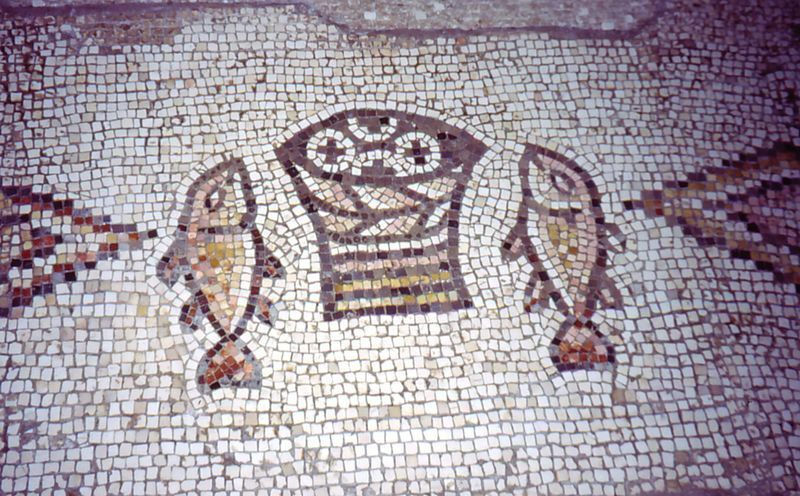 According to the pious legend, in this place Jesus fed 5000 pilgrims with five loaves of bread and two fish (Matthew 14,13). Brad thinks he's tough and all growed up, but Granny knows his heart. He said, "My friend is only 28 years old and dying of cancer. 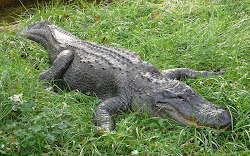 He's been my fishing friend, and things won't be the same when he is gone. I don't feel like seeing him as he's dying because that will make me sad. I want to remember him just the way he was." I tells that grandson that I love so much, his tender heart is hurtin' and if I could take the pain away, I would. "It's hard when friends are dyin' and you don't know what to do. That's what the bread and fish are for in Granny's kitchen. You need to take it to your friend today and every day until the young man dies." "Bread and fish? Now what's that for," Brad didn't understand what it takes years to know, like Granny who has watched the young and old come in the world and leave, while folks that stay behind feel sad and don't know what to do. "That's life, the bread and fish. A man can feed a bunch of people with just that bit of food. But that just keeps the body for a day. There's more, much more that you must do than that. For it's your life to live with goodness and with honor from today, a life to live with fullness and with faith. That's what it means, the bread and fish, the gift of life you give. You take it to your friend and then you see with brand new eyes and embrace with loving heart. " Brad looks out through the window, and Granny watches tears just pourin down his face, as he's thinkin' bout what Granny says, and then he tells me, "I'm going in that kitchen to get some bread and fish and do that every single day for my good friend and for myself as well." Granny knows that Brad now understands to live life well is bread and fish for everyone he loves, and as he puts it in his bag to leave I know he has prepared himself for his own journey home.